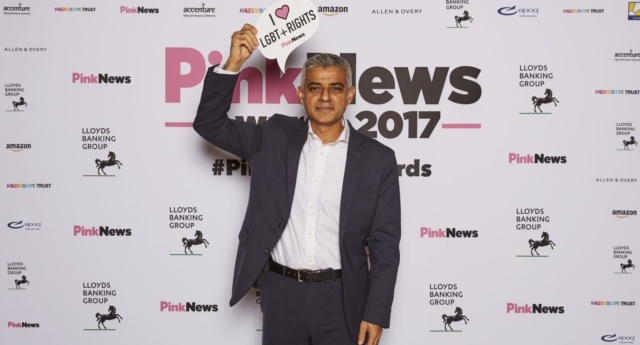 The nominees for the third sector equality award at this year’s PinkNews Awards were tonight (June 20) announced at the PinkNews summer reception in Edinburgh, supported by Virgin Money and DLA Piper. The third sector equality award, sponsored by Amazon, recognises the contributions of third sector organisations which campaign for LGBT+ rights at home and abroad. The list of nominees were announced at the Scottish Parliament, where attendees heard from Scottish Conservative leader Ruth Davidson and Scottish Labour leader Richard Leonard, as well as minister for equalities Angela Constance, Scottish Liberal Democrat MSP Alex Cole-Hamilton and Patrick Harvie MSP of the Scottish Green Party. Earlier this month a host of politicians from across the political spectrum gathered alongside LGBT+ activists at the Welsh Assembly in Cardiff, in the first of the PinkNews summer receptions. Nominees for the PinkNews Award for public sector equality were also announced at the event at the Welsh Assembly. Following the nominee announcement at the Scottish reception, a panel of judges will be drafted in to decide the winner, which will be announced at the PinkNews Awards on October 17, 2018. This year marks the sixth PinkNews Awards as well as 30 years since the passing of Section 28.